Annabella Milbanke Was Not Crazy! I've written before about the seminar in the British Romantics I was enrolled in as an undergraduate. The professor was a retired specialist in the writers of the period--he was a wonderful man, teaching the seminar gratis because he loved teaching. And I loved the course--but the approach was typical for its time. Tortured men of genius bedeviled by difficult women who threatened their genius. Any and all extremely bad behavior--and there was a great deal of it--was excused because THEY WERE MEN OF GENIUS. I've already written about one of those "dangerous" women, Mary Wollstonecraft Godwin, a sixteen-year-old young woman who was seduced by and eloped with the married Percy Shelley. I've written about the "unhinged" Lady Caroline Lamb who stalked Byron. I also wrote about my enlightenment about the women in the so-called Shelley circle after I read Janet Todd's Death and the Maidens: Fanny Wollstonecraft and the Shelley Circle. I have just finished Julia Markus's excellent new biography, Lady Byron and Her Daughters. I can't recommend it enough. The biography was not only compulsively readable, but it revealed a woman who was, in her own right, remarkable. Not remarkable only for her beauty, not remarkable as the discarded wife of Byron, not remarkable for the juicy details of her abusive marriage, but remarkable as a creative, talented thinker who accomplished a great deal in her life. I will only summarize here--recognizing her intellect, her parents provided an excellent tutor, with whom she studied classical literature, philosophy, science, and mathematics. She herself wrote poetry. She educated her accomplished, brilliant daughter, Ada, now recognized for her contributions to computing and computer programming. Annabella Milbanke not only devoted herself to rearing her daughter, she also offered financial support to Augusta Leigh, Byron's half-sister, and she rescued, supported, and educated Medora Leigh, Byron's daughter with his half-sister. Annabella Milbanke was socially conscious, interested in education for those who could not afford private tutors, designing and founding infants schools. She was also a supporter of prison reform and the abolition cause--she attended the 1840 World Anti-Slavery Convention, where she met Lucretia Mott and Elizabeth Cady Stanton. She also met Harriet Beecher Stowe, who traveled to England in 1853, after the publication of Uncle Tom's Cabin--Stowe became a great admirer. 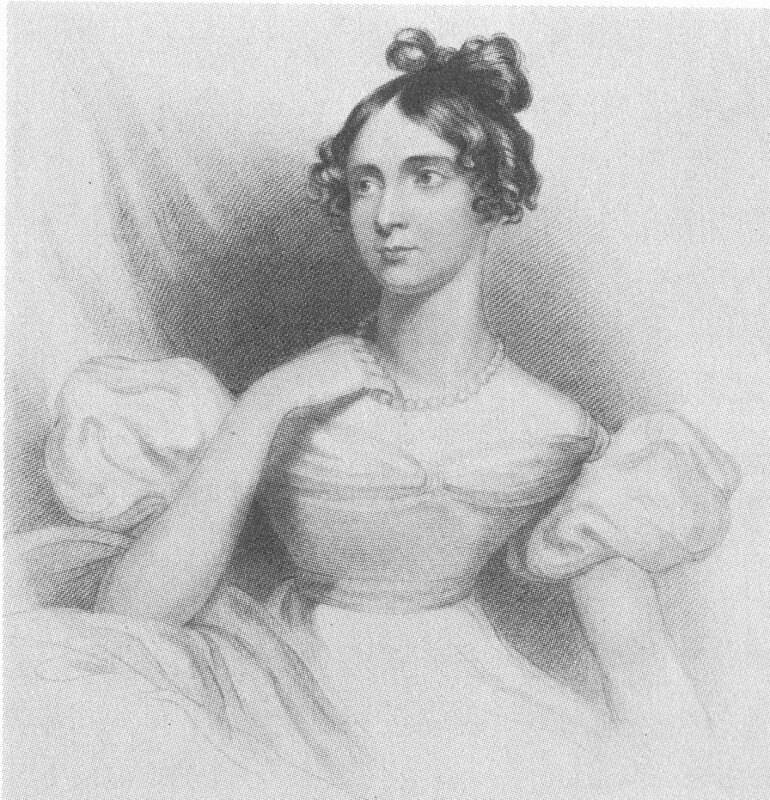 Annabella Milbanke, Lady Byron, was truly an accomplished and fascinating woman. And might I recommend Julia Markus's website? 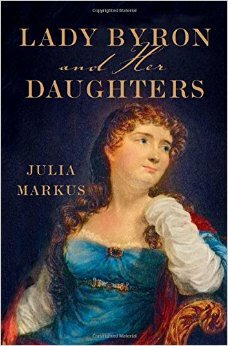 You can find her at "Julia Markus writes." Or, more simply, by clicking here.